Liposuction is a very popular plastic surgery procedure offered by Dr. Mahmood of the Plastic Surgery Group of NYC. Liposuction surgically and permanently removes excess fatty tissue to restore a more proportional and toned shape. Liposuction is best for people who can’t get rid of the extra bulges that result from genetics, a lifetime of weight fluctuations, or pregnancy. Please note: Dr. Mahmood has been trained in a special technique, that allows for her to perform liposuction of certain areas without the need to put you to sleep (under anesthesia). Dr. Mahmood is happy to discuss the best treatment option specific for you during your complimentary liposuction plastic surgery consultation. For post pregnancy women liposuction is often elected as part of a Mommy Makeover and is ideal because hormonal changes that occur with pregnancy and breast-feeding causes the storage of excess fat, particularly in the body’s mid-section: tummy, buttocks and thighs (the upper arms are also frequently affected). Liposuction can reshape and contour your body to its pre-pregnancy form. Liposuction is a straightforward plastic surgery that allows the NYC plastic surgeon to remove unwanted excess fat. In various parts of our bodies, the number of fat cells does not change. Only the size of the cell changes. Diets have a small impact in these areas and only physical reduction of the number of cells by liposuction can successfully achieve removal of fat cells. At the Plastic Surgery Group of NYC liposuction is a fast and trauma-free plastic surgery and is often combined with varying elements of a Mommy Makeover. Your liposuction will be performed on an out-patient basis at our fully accredited surgical facility by the board certified plastic surgeon on-site at our Manhattan location. The type of anesthetic will depend on yours preference and the amount of fat needed to be removed to achieve your desired outcome. 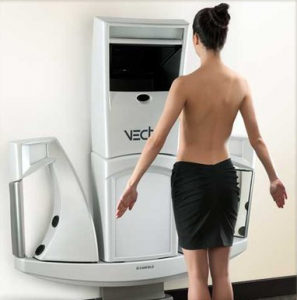 With the NYC plastic surgeon’s technique your liposuction scars (if any) will be tiny. After the liposuction plastic surgery, a compressing garment may need to be worn (this will vary from case to case). 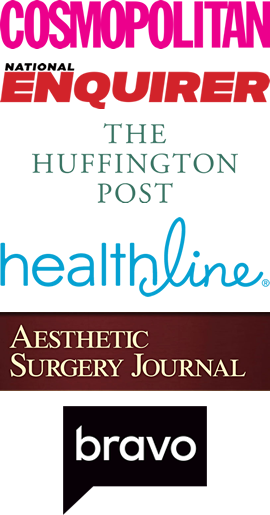 There are several liposuction techniques that can be used to improve the ease of the procedure and to enhance the surgical outcome. The best possible technique to achieve your goals will be discussed with you during your complimentary liposuction plastic surgery consultation with the NYC board certified plastic surgeon. Many patients inquire about pain associated with the liposuction surgery. Pain is very personal issue, yet according to most of the NYC liposuction plastic surgery patients the surgery is not painful and some patients do not even need to take time off work. However, we do recommend taking things easy and a prescription for pain medication will be provided. As a best in class plastic surgeon, Dr. Mahmood provides highly personalized and comprehensive care. Her philosophy regarding the plastic surgeon / liposuction patient relationship is based on trust and has earned her one of the most respected reputations as a plastic surgeon in NYC. The top rated NYC plastic surgeon uses the latest techniques to provide the most natural-looking results possible for your plastic surgery procedure.